India's Mission to Venus scheduled to launch in mid 2030's. Primary payloads from India in the last page. 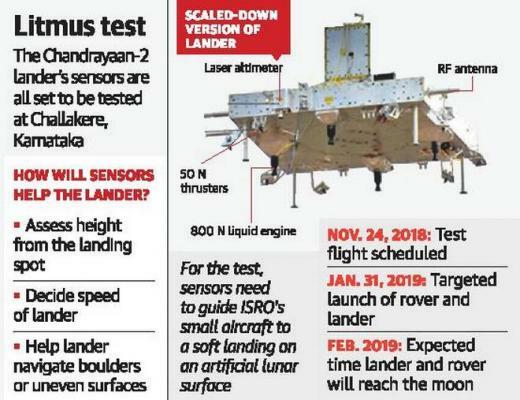 But it says the spacecraft("payload") has to be delivered to ISRO by 2022 - isn't that a little early for a mid-2030's launch date? Wouldn't a mid-2020's launch date be more appropriate, as compared to 15+ years from now? ISRO has three launches planned over november and december. Q) Then you have that big satellite to be launched from Kourou? A) Yes. GSAT -9; GSAT -29; GSAT -11; and GSAT-20 will be launched next year. All these satellites combined will work for the digital India. It will provide almost around 70-100 GB per second data link. All the satellites will be useful for the Digital India program. Q) In these next few weeks, how many missions are you doing? You have quite a packed schedule? A) Actually that is true. If you have seen our schedule up till January, we have 10 missions; that is, four launch vehicle missions and six satellite missions. The immediate mission is PSLV C-43. Then the GSLV will launch GSAT-7A. Then another PSLV is going to launch EMISAT. Then GSLV Mk III will launch Chandryaan-2. Alongside, we have two procured launches that is GSAT-11 and GSAT-31. So we have totally 10 missions in a packed mission schedule. Talking to TOI, Isro chairman K Sivan said, “We are going to launch HySIS at 9.59 am on November 29 from Sriharikota. Over 30 foreign satellites, including nano and mini satellites, will also be launched along with the main payload. Out of the 30 commercial satellites, 23 are from the US. Is PSLV-G still available, or retired? I know it was a surprise when PSLV-G appeared for its last launch to date: C35 on September 25, 2016. The previous launch of that version was C16 on April 20, 2011. I honestly have no idea if PSLV-G is done for. But my guess is that it IS retired, meaning that the CA and XL versions remain. Why? Because both can carry acceptable amounts of payloads to SSO, whether they're big or small. In one of the C43 post launch speeches today (November 29th) it is mentioned launch date for F11 mission is 20 days away. That would put this mission at no earlier than December 19th. Crosspost. F11 launch no earlier than December 19th. Gaganyaan Design Review has started. Unmanned mission in Dec 2020 and July 2021. Manned mission in Dec 2021.